03. 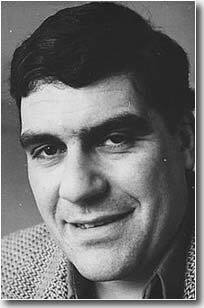 September 1941 - Sergei Donatovich Dovlatov was born in the family of an actress and a theatre director in Ufa. 1944 - Dovlatov's family returns to Leningrad where Sergei go to school. 1959 - Dovlatov begins to study Finnish in the Leningrad University. 1962 - Dovlatov leaves university and begins military service in Komi. His novel "The Zone" ("Zona"), published in 1982, is based on his experiences there. 1965 - Dovlatov enters the university again - to study journalism. He works part-time in some newspapers. 1973 - Dovlatov moves to Tallinn and works there on the Estonian newspaper "Sovetskaia Estoniia". This experience forms the basis of novella "The Compromise" ("Kompromiss"), published in 1981. 1976 - Dovlatov returns to Leningrad and works on summers 1976 and 1977 as a guide on the Pushkin estate in "Pushkinskiye Gory". The novel "The Reserve" ("Zapovednik", 1983) is based on this experience. 1979 - Dovlatov leaves USSR for Vienna, then he comes to New York. 1980 - Dovlatov works as the chief editor in the Russian newspaper "Novyi Amerikanets" (“The New American”). He also works for the Russian-language radio station “Svoboda”. Dovlatov’s own editorials were later published under the title "Marsh odinokikh" (“March of the Lonely Ones”, 1983). In June 1980 the New Yorker magazine publishes his translated short story “The Jubilee Boy”. Dovlatov begins to publish hir earlier works and writes the new novels, particularly "Inostranka" ("A Foreign Woman"). 24. 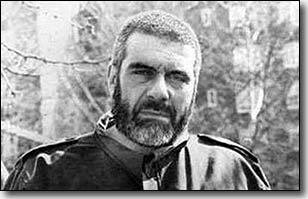 August 1990 - Dovlatov dies in New York.